What is TMJ and why is it Important? Every time a person visits the TMJ dentist; various abnormalities associated with TMJ, or the temporomandibular joint, are examined to detect any signs of temporomandibular joint disorder (TMD). 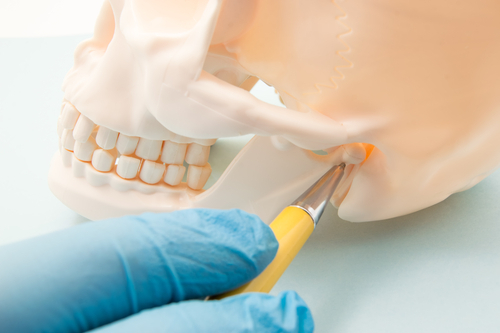 The function of the TMJ is critical in enabling a person’s mouth to move up and down and sideways hence allowing the teeth to meet in their optimal bite position. As a result, a properly aligned TMJ allows you to have appropriate routine functions in speaking and chewing with no discomfort. In addition, normal TMJ function is essential for the overall comfort of the jaw. In the case where an individual has a misaligned TMJ, he or she may experience severe pain in the jaw, headaches, and ear infections. Therefore, seeing a neuromuscular dentist is vital to helping identify and treat any TMJ misalignment issues in order to eliminate additional health complications associated with TMD. What Can I Expect with a TMD Dentist? When you book an appointment with a neuromuscular dentist, various neuromuscular dentistry diagnoses are made including x-rays and digital radiographs that aid in revealing the condition and position of the jaw joints. Moreover, other technologies are used to record the resting position of an individual’s jaw including its associated movements. Sonography and joint vibration analysis help in recording the sounds of the jaw joint in order to detect the presence of any abnormalities. Electromyography (EMG) measures both the relaxed and stressed positions of a person’s jaw muscles while identifying any structural defects in the jaw. Following a neuromuscular dentistry diagnosis, the identified TMD is treated or managed using various techniques. Our treatment plans are designed and suited according to your unique needs in order to initiate the optimal positions for your jaws for long-term functions of the TMJ. The typical treatment option includes the use of mouth-guards crafted using a special machine that helps in tracking the movements of the jaw. Your treatment of TMD may also involve relieving muscle pain and spasms using Ultra Low Frequency Transcutaneous Electrical Neural Stimulation (ULF-TENS). In this form of treatment, electrodes are placed on the jaw, neck and areas of the shoulder where electric impulses are generated. These electric impulses contract the muscles, helping them to relax. You may or may not experience jaw pain or tenderness with TMJ syndrome. People that suffer from TMD are usually those that clench or grind their teeth. TMD can cause jaw pain, bad headaches, ear pain, dizziness, and even upper neck pain. Some TMJ patients report pain or and the inability to eat, speak, or even sing when trying. TMJ syndrome is considered a multifaceted neuromuscular disorder. Do you suffer from chronic headaches or migraines? Have you been diagnosed with TMJ or TMD? Avenue Dental Care offers a TMJ exam that evaluates the joint tissue around the hinge of the jaw. If there is any type of inflammation or deterioration of the joint tissue, that may be why you are experiencing pain. Even thought pain relievers and painkillers can provide temporary relief for TMJ related pain, consultation with a dentist should still be heavily considered to treat the root of the issue. “TMJ disorder” may be to blame if you are suffering from recurring headaches, a popping/clicking jaw, or if you grind your teeth while you sleep. “TMJ” is a disorder that happens from the joint that keep your jaw in place become misaligned. The nerves and muscles become will then become irritated and cause these droning pain and often other more harmful symptoms.